On June 1st we set off on what turned out to be a 2,589 mile trek. From our home in Texas to my brother’s in South Dakota. We visited my brother and his wife and their two kiddos. My almost 4 year old son was only 13 months old the last time we saw them. Since that time, both of our families added a child and we are each expecting another this fall. It was a long drive (17 hours split into 2 days) to get there, but definitely worth it! The trip included visiting three national parks & monuments. 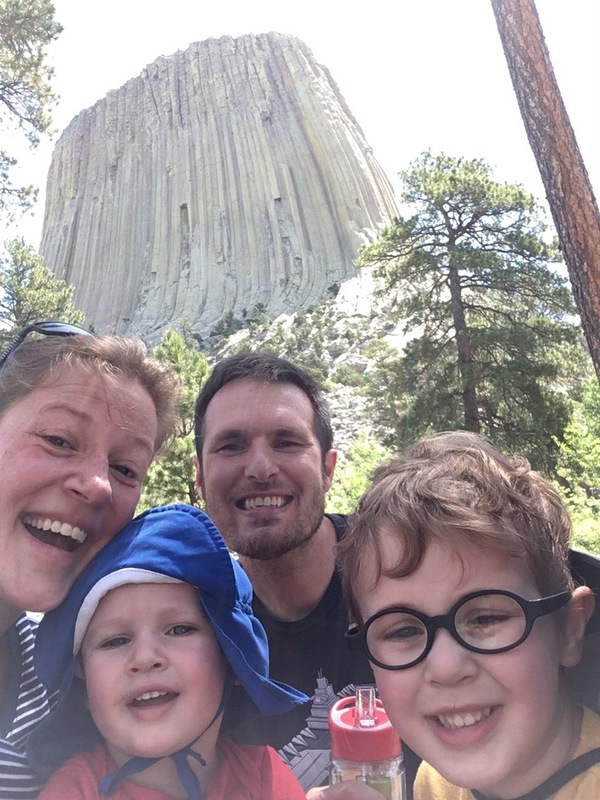 Devils Tower in Wyoming, Mt. Rushmore, and the Badlands. All beautiful. All worth the entrance fees. We also made the practically obligatory stop at Wall Drug. All those billboards reminded me it was a must see if driving through. Another theme of our trip seemed to be dinosaurs. From the toy ones I packed to hand out to bored little boys, to the Wall Drug Dino, and Dinosaur Park in Rapid City. The trip also proved to be delicious. We had hot dogs and s’mores over a campfire one night. Another evening we had grilled “farm beef” hamburgers (as in, my sister-in-law knew the family that raised the cow we were eating). In Spearfish Caynon, we had a nice dinner for two. Indian bread taco for an ap, than cheesy bacon potato soup. Followed by steak, a twice baked potato, and some of the best cooked veggies I’ve ever had. Buttered, sprinkled with dill, they practically melted in my mouth. For dessert, more Indian bread [think elephant ears] with a warm strawberry dip. I was so full but it was so incredibly tasty. All in all, the trip was a wonderful success. Yes, we are tired. Yes, it was a long drive. 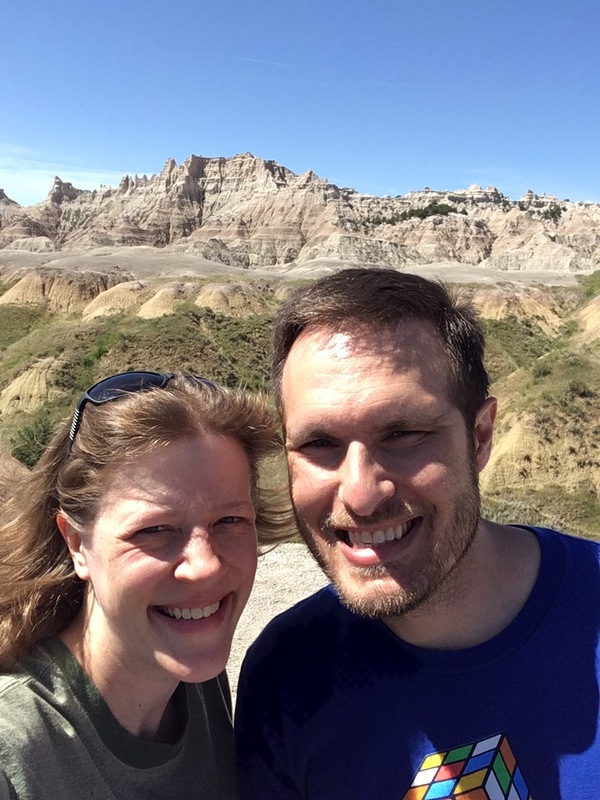 But for the savings (the minimal cost of the trip would not have even purchased 2 plane tickets to Rapid City), we are so glad we took the time and effort to visit our family up north. I grew up in the north west and many years we traveled across Idaho & Montana to reach my grandparents house in North Dakota. 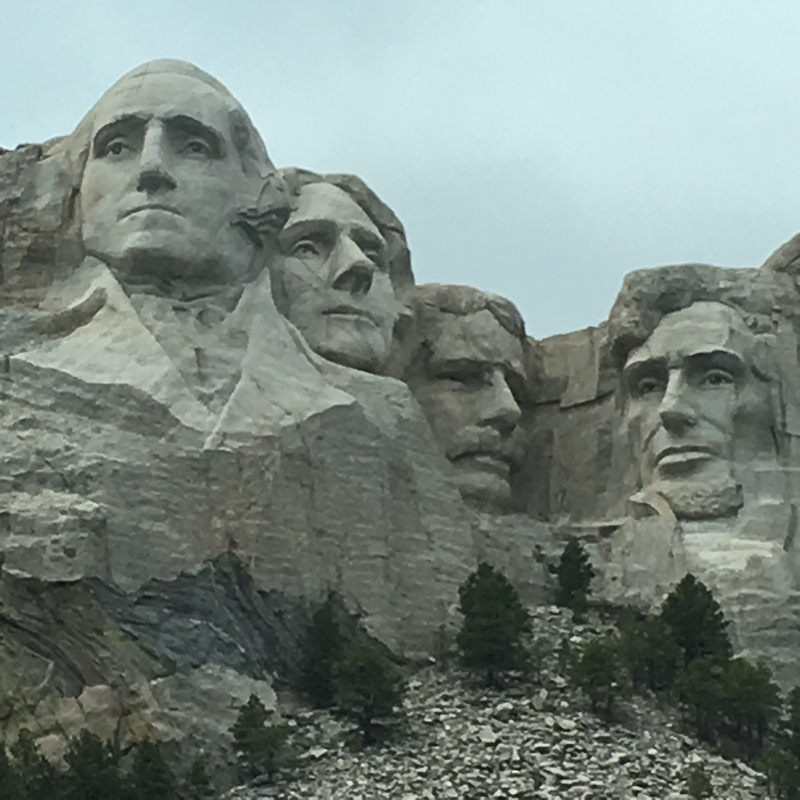 I’ve spent a week at a family reunion near Rushmore. I’ve seen the Badlands and appreciated the prairie. I’ve driven north from here to South Dakota and enjoyed the rolling hills and the flat plains, filled mostly with cows and crops. It was wonderful to show my husband and sons this beautiful, under-appreciated part of the country.